Directed by Leslie McCleave. USA. 2015. 89 min. Filmed over 10 years, How Sweet the Sound is an intimate portrait of the Grammy Award–winning Blind Boys of Alabama, who met as children in the 1930s at a state-run segregated vocational school. 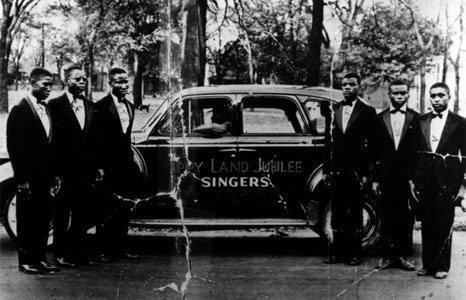 With the core performers first singing together in 1944, the Blind Boys became one of the last great gospel quartets to traverse the famed "gospel highway." Eventually breaking through the color barrier and achieving mainstream success with secular audiences worldwide, the Blind Boys have now been uplifting listeners for seven decades. As the surviving band members recount their unlikely success story, the film provides a rare, frank view of life on and off the road with these renowned performers, now in their 70s and 80s.